The idea is for this place to be secure, isn’t it? And when we partner with a security company, we believe it’s because they make home more secure. Or we wouldn’t be giving them our hard earned money, would we? 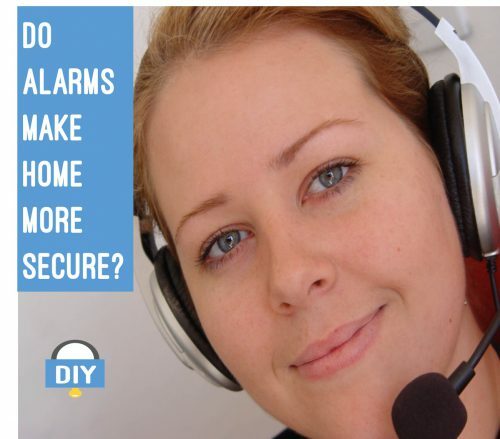 So the question is, do alarms, and alarm monitoring companies, actually make home more secure? SECURE – free from or not exposed to danger or harm. OK, so no one or nothing can actually make you secure. So how about this question, do alarms decrease my exposure to danger or harm? Potentially. You see, alarms don’t put a physical barrier between you and whomever it is that might want to do you harm. 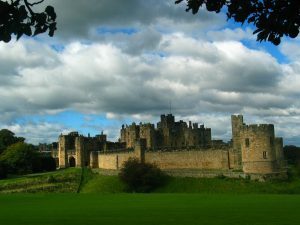 Imagine, as you’ve seen in the movies, the home team is in and around the castle going about their daily routine. All of a sudden, two men on the wall see their enemy approaching. The younger says to his elder, “sir, there’s the enemy.” The senior officer shouts, “Sound the alarm!” Immediately, the people begin to run into the castle and prepare for battle. QUESTION: Did the sounding of the alarm decrease their exposure to danger or harm? Imagine now that the enemy is closer and prepares a battering ram for the castle doors. As they start the first of what they imagine will be many strikes against the door, they are all wildly caught off balance when the doors fly open after only one attempt. The alarm did its job; perfectly in fact! And knowing they had an alarm (watchmen on the wall) might have made the villagers feel secure. But it was never meant to make them secure. I’m not anti-alarm. They have their place. But just like anything else, it needs to be properly labeled. When you were a child, did you ever see chocolate powder in the cabinet and figure, why not get a spoonful? Then the moment it hit your taste buds, you learned that there was something called unsweetened chocolate. Yuck! If only you had read the label. Alarms are not technically security products. Security is… “Ahhh, I’m safe from all harm.” No, alarms are deterrents. Defense plus Deterrence and Detection equals security! And if you have to choose, (which is not likely) choose defense. Should I pay for monitoring? OK, so you’ve gone here and you’ve hardened the weak points of your house. The best you know, you’ve taken care of defense. Now you want some deterrence and detection. But your not sure if a monthly fee is the way to go. In this setup, your alarm makes an ear-piercing noise. If you’re home, you know it could be false so you check the house as carefully as possible. If you’re not home, someone has to get there pretty quickly. Here again we hear the alarm if we are home. This time, however, we reach for our smart device to see what our cameras have in view. We assess the situation much more quickly. If were are not home, the situation is much the same. The difference here from the previous is that if we have someone attempting to violate our privacy, or god-forbid already has, we can actually speak directly to them and put the fear of God in them. Here the alarm sounds, or is on silent mode, and alerts your monitoring company. They call you. If you give them the super-secret password, then all is well. If you don’t answer or are not home they call the police. Burglary in Progress: Priority 1. Suspect is seen or heard breaking into home, or business. We like this right? If you’re home and hear a burglar or are away and see one through you camera, you call 911 and you are top priority. Cold Burglary: Priority 3. Someone calls to report that they have found their house or business has been broken into. In this situation, regardless of whether you have monitoring or not, you alarm goes off, you get home to find you have been burgled. Burglary Alarm: Priority 5. Silent or audible alarm activated at a business or residence. In this case, your monitoring company is alerted to your alarm. They notify your local police and if it’s a quiet night, they’ll be there shortly. If other things are going on in your county or precinct, such as…I don’t know, public drunkenness, maybe, it will be a little while. Alcohol Contact: Priority 3. Generally an officer-initiated call. Can be someone calling to report a drunk in public, or contact by officer for an open container. 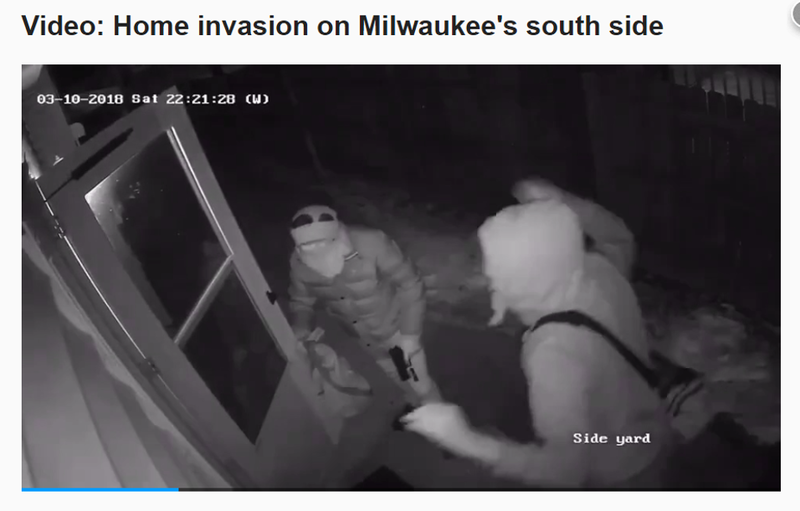 Your burglar alarm reported by your monitoring company has to take a back seat to this offense. But why? Well over 90% of alarm triggered burglary reports are false. Some cities have reported the number as high as 98%. If first responders made burglary alarm calls priority, they might literally get nothing else done! The question was, should I pay for monitoring? So you see, monitoring may or may not be something that you want or feel you need. It’s different for different people. I like alarm systems, but I don’t think I need monitoring at this time. However, if my grandmother was still alive and lived alone at home? You betcha! An alarm system is not really total security (as often advertised) because it doesn’t do a good job in the defense department. However, it is effective, along with cameras and speakers, in the deterrent and detection areas. Also, alarms seem to have a life of their own with a better-safe-than-sorry mantra. 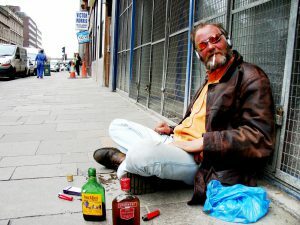 They go off even when there is no issue and therefore the police have to give that call a backseat to issues they know are actually happening; like public drunkenness. I hope that gives you insight into what you can expect from a security alarm. And remember, being prepared means living without regret. Well what do you think? Do you have an alarm? Do you have monitoring? How about a question or a different point of view? Let me know and let’s keep the conversation going. Next Post - Next post: Should you buy Dummy Outdoor Security Cameras? Hi Chris, thanks again for another interesting post on security. I am shocked at the high rate of false alarms. It really does make one think twice about bothering with an alarm to a degree. I would imagine that the best security is probably only found at Fort Knox! You did an amazing job of offering a different view point on alarms. I guess I am probably one of the many that just assume you are safer with an alarm. And yea you kinda are but it is like you said it could be a better deter rather than actual battering ram to stop them. Thank you. Thanks for stopping by and checking out the info. You are so right, a lot of assumptions are made when purchasing an alarms system. I guess it kinda fits our “take a pill and feel better” culture. Hm, that’s really interesting. I never thought of alarms not actually protecting you. But it does make sense that they’re deterrents for would-be burglars. And I didn’t realize how many cases of alarms that go off that are mistakes. Like, almost all of them? Crazy! This definitely gives me a lot to think about when deciding how to protect my home. One comment on a previous post, I was told by a man he got so sick of his alarm constantly going off that he pulled it out of his house. Just the other day I was sitting with a preacher friend and he looked down at his phone. I said, “Do you need to take that?” He sad, “No, its just the alarm going off at the church building. It does it all time, especially with the heat kicks on which causes an interior door to move. I’ll get to it later.” I chuckled. With technology on the rise, you can pretty much monitor everything that’s going on in your household and your business from anywhere around the world. If you are always worried about your home being broken into, you can also opt for an alarm system to be installed in your home to alert you of any possible danger. Me and my brothers also thought of installing an alarm system to make our home more secure for our mother who is often alone in our house. But after reading your post, I realized that an alarm system would not be that much helpful in protecting my mom because like you said, it will only make her feel secure but not really secure. So if a monitoring alarm is only good in the deterrent and detection areas, not total security then I think paying for it monthly is a total rip off! I couldn’t agree more Alice. Self-monitoring seems to be the way to go. Paying someone $200 a year to call the police who are then forced to prioritize the call is pretty close to a scam if I’m not told up front. When I see the commercials, it’s clear they are selling the sizzle and have no steak. Police call prioritization is a necessary thing and its understandable why the billion dollar alarm company is not talking about it. As I’ve said numerous times, I’m not against alarms. I just want to make sure you know what you’re getting. Reall informational. When my husband and I bought our 2nd house the first month we were hounded by alarm companies. And each sales representative scared me to death as they attempeted to point out all the areas in my new home that a burglar could potential enter and put my children at risk. After reading this I realize how getting an alarm system really wouldnt have done much to ease my worries. I don’t think anyone like being sold (hounded). But either it’s working or the poor salespeople have figured it out yet. It doesn’t work on you apparently. Be sure to do your research to understand what “you” need to secure your home and if I can help, let me know. I’ve always gathered that the alarm really doesn’t make your house more secure, but what I didn’t know was how low on the priority list these calls were, and how many were false alarms. My parents have monitoring, but it’s because they are only there 6 months out of the year, so they also have temperature monitoring, etc. It’s worth it for them, but definitely not worth it for everyone. FYI, the “T” in my name is for Todd. You make a great point about your parents. They apparently know what they need and got a product to meet that need. Good for them. That’s a great article! It’s great in a sense to show the difference of security sense and also about the efficiency of alarms. Having an alarm it won’t “rescue” you from a burglar situation, as you mention is a deterrent. And if the alarm goes off on a real armed burglary but the police or security team doesn’t come quick enough then it end up horribly bad. Still I would get a monitoring alarm as it’ll be recording the evidence should be required for investigation. Anyway thanks for this informative article. I don’t disagree with you about having an alarm. In fact, my very next post, “Should you buy Dummy Outdoor Security Cameras?”, refers to having an alarm WITH monitoring. So we are in agreement on that point. I enjoyed the points about castle watchmen/bell ringers and the burglary priorities. I… learned something today! I like the idea of “putting the fear of God” into trespassers with a good speaker system. I live on the back of a mountain within a small cluster of neighbors — all who watch out for each other. Little happens… but when it does, WE ALL sound the alarm — through phone calls, banging pots, shotgun blasts into the air, you name it! But if I had to install a system — say, at my mother’s place in town — you’ve given me a lot to consider. Sounds like a very cool place to live Ingojace. Hey Chris! I love how you put this into perspective. People feel safe at the notion. In my opinion it may just help the detectives find your killer but may not stop you from getting killed. My alarm for instance is web based so it doesn’t always catch the things it should. Very thought provoking. Thank you! Do you have monitoring with your system? brilliant article. Just looking at installing a new office alarm and this had made me thing about some additional cameras to help deter people. What price would you stick to for just two cctv cameras and a new alarm for two room office? Hi Glenford and thanks for the question. I would certainly look for a kit, even if the kit gave me more than I originally wanted. When pricing individually the good stuff can be outrageously marked up. In the next article, Should you buy Dummy Outdoor Security Cameras?, I showcase a kit I found for only $250 if your interested. I also give my bare minimums for a monitoring system. This is such a great read about alarm ans security. We all should have it at home in order to protect ourselves from theft and crimes, especially when we are out of sight. This is really a great read. Thank you so much for sharing, looking forward for more useful article from you. I understand why people get alarms, but I feel safe with my deadbolts and my dog. He sounds loud and scary. I’ve had a security camera, but I can’t imagine sitting and watching it for something suspicious. I think a camera is good if you do get broken into though because then the police have some footage to try and track down the person. It sure sounds like you’ve got your bases covered. Be sure you’ve got your door jamb reinforced however. Or that deadbolt won’t hold. We talk about that in that 2 previous posts. In the next post, I do cover Alarms With Cameras and give my personal minimum expectations for such systems even though your stuff is only recovered 15% of the time. These are the reasons I encourage focus on defense (as you clearly have). I have an alarm at home.. more of a sensory alarm. If anyone walks in then boom! it goes off. Haven’t had any problems in my neighbourhood but better to be safe then sorry. What are the best for price alarm systems out there? As to prices for alarms, you can go for super cheap (under $100) to spending thousands. It really depends on what you want the system to do. For example, on the next post here I give my minimum expectations for security cameras.